Looking for a place to stay in Fairbanks but having trouble finding an affordable hotel? I know that feeling! That’s why I put together this resource of the cheaper accommodation options in Fairbanks, Alaska. In this post you’ll find six of the best budget accommodation options in Fairbanks. 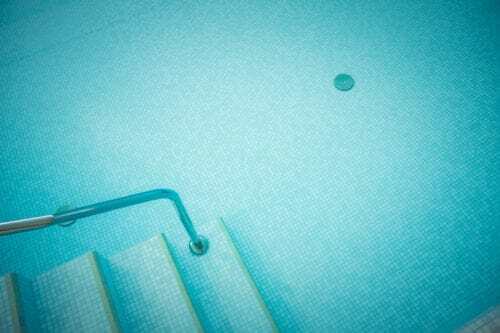 You’ll also find quick tips for finding cheap motels and hotels there yourself. Just click on any of the links in the table of contents here to see the six hotels I chose and read more about why they’re included in this list. Why I chose these six hotels in Fairbanks, AK? If you reached this post I am guessing you’re planning a trip to Alaska and are probably looking for cheap hotels in Fairbanks. 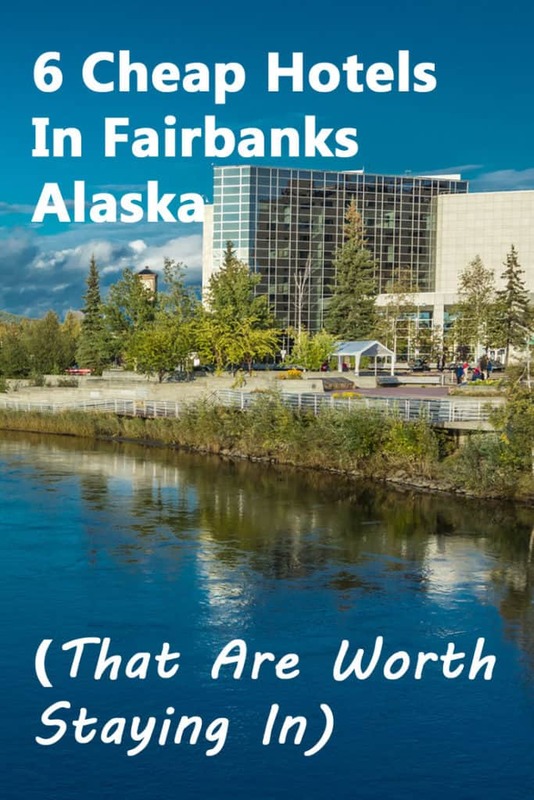 So, let me show you a few gems that I found on Booking and share a few tips on how to score the best deal on Fairbanks accommodation. Please note that the following is based on researching Booking for accommodation in Fairbanks during summer months. We didn’t stay in any of these hotels ourselves, so these aren’t my opinions. Just a reflection of information and reviews from Booking. And speaking of Booking.com, the links here are all affiliate links. Which means that if you make your reservations through them, I will be getting a small commission – at no additional cost to you. And thank you, in advance! The criterion for inclusion in this list was simple. These hotels all offer rooms for two, at under $100 a night per person. Yes, that’s per person and not per room. And yes, that’s only relatively cheap hotels in Fairbanks. In most cities in the Lower 48 these would be fairly expensive rooms. In Alaska, they’re not. Alaska is an expensive destination in terms of accommodation and there’s no way around that. I’ll share a few tips on how to find the best deals further down the post. For now, let’s start by introducing the six establishments included in this post. Oh, and just in case you find your dream option somewhere along the list, let me link here to my guide about 11 awesome things to do in Fairbanks. Hopefully it’ll make your stay there even more fun! Let’s dive right into the list. This is a pretty simple establishment best suited for couples, though they have family rooms too. For an affordable price, you can have a cozy unit with a queen size bed and a full-size kitchen! They might be a small property but they have the means to pick you up at the airport at the time of your arrival. According to the reviews, the hosts are friendly and may be able to help with information or even give you a lift to your destination. A Downtown Hideaway Bed and Breakfast is located in a peaceful spot where you can get a good night’s rest without being too far away from downtown. Travelers appreciate the food products they have in store in the kitchen. Apart from the complimentary breakfast, guests will also have free access to bicycles that could help you get around town and burn those calories. Added amenities include access to a washing machine and dryer. They have a garage-type parking space, so you don’t have to worry about leaving your car (if you rented one) on the roadside. The name of the hostel is derived from its location- only one kilometer away from the city center. They have free WiFi and free parking and the doors are password protected for extra privacy. Guests share a kitchen, and you have the choice of eating breakfast right in the kitchen or on the lawn. During the night, the lawn can serve as an ideal spot to see the Aurora Borealis! You also get a free use of their bicycles – the neighborhood is popular for biking activities and most of Fairbanks could offer is just a few pedals away. This place is big (larger than the previous two properties) and each room is decorated differently from the other. You’ll have your own flat-screen TV (cable connected) and a Blu-ray player (available in each room). Rooms have their own bathrooms. The 7 Gables Inn & Suites also have a nice picnic area with barbeque facilities- great for dinner during the long evenings of summer. When you check in during winter, you can enjoy their complementary skis. They also offer free parking and a stable Wifi connection, in case you might want to share the beautiful Aurora Borealis on your Instagram. The Borealis Inn is a humble-looking hostel that’s only a couple of minutes away from downtown. The place looks small on the outside but the bedrooms are pretty spacious. The floors are carpeted and you’ll have your own living area right inside your unit. The rooms, however, don’t have their own terraces so you’ll have to go to a common area if you want to see the Northern Lights during the night. Borealis Inn is right next to some restaurants and the rest of Fairbanks – there’s even a cinema nearby. They offer flat-screen TV in the room and Wi-Fi. It’s quiet, safe, and clean here – everything a budget-conscious traveler might ask for. This property is just 1.9 kilometers away from the airport, making it an ideal place for a quick stay after a long flight. The motel has all the basic stuff a traveler might need; each room has its own bathroom, fridge, and microwave. You also get to enjoy 2 queen-sized beds so this can be a good option for families. No breakfast but there’s free coffee in the morning; and the direct access to a parking space is a plus. Based on reviews, you might want to book a room on the second floor. If you’re below, you’ll pretty much hear everyone on the upper level. The place is also within the aviation path so expect airplane sounds to zoom from time to time. Overall, the place may not be modern but it has everything to keep you comfortable. Not exactly soundproof but you have your own toilet and bath right in your unit – unlike other motels/hostels in the same price where you have to share bathrooms. This is probably the best deal in this list of cheap hotels in Fairbanks. Judging by the photos, the Abbey Archway Inn has a nice architecture and what’s inside is even better. You can get a large suite here including a kitchen, dining area, living area, bedroom, and bathroom. Superior units even have hot tubs or spa tubs. It’s just three kilometers away from the airport and has multiple business hubs in the area. You are near the bus line and the University of Alaska. The best part is the breakfast – lots of good feedback from the reviewers. You’ll have two TVs, one in the living area and one in the bedroom, so this is a great option for traveling families. I’ve spent so many hours looking for affordable accommodation for our Alaska trip. In fact, the first summer that we had planned a road trip to Alaska, I ended up cancelling the trip because we simply couldn’t budget for these crazy hotel prices the state has. Two years later I was smarter and used several ways to bring the costs down. Sharing them here quickly, to help you find the best cheap hotels in Fairbanks even if you didn’t find a good bargain in the list above. Make your reservations early. And I mean early. As early as a year before your trip. As soon as the hotels become available for these dates in Booking.com. Early bird prices can be significantly lower. Keep your booking flexible and keep looking. Secure the cheapest option via Booking early but make sure it comes with a free cancellation option. Then keep looking throughout the time left for your trip. If you see something cheaper, book it and cancel the previous reservation. Don’t be too picky. Sure, we all love luxury hotels but save those for your trip to Florida or Vegas where prices are more reasonable. You’re in Alaska to see Alaska, not to see the inside of your room. Cut your costs by not splurging on anything that you don’t absolutely need. It’s just too expensive here. Finally, budget for Alaska. Yes, there’s a sticker shock when you first search online for hotels in Alaska. I know, I’ve been there and ended up cancelling a trip to Alaska because of that. Two years later, I was prepared and budgeted accordingly. Need more tips for an affordable vacation in the Last Frontier state? 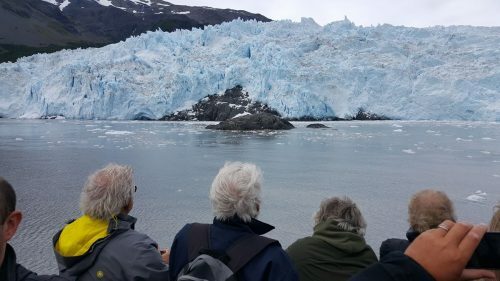 I published a very long and thorough guide about the cost of a trip to Alaska. It’s chock full of info and tips that will help you lower the cost of travel expenses, accommodation, food, excursions and more. That pretty much sums it up. If you’ve stayed in any of the hotels mentioned in this post, I’d love it if you could add a few words about your experience there. I’m sure it’ll help others who may be looking for cheap hotels in Fairbanks. Thank you!